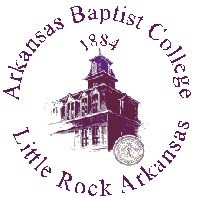 Arkansas Baptist College is an urban Historically Black College located in the historic Little Rock Central High District. It also neighbors the Wright Avenue District and the famous Paul Lawrence Dunbar Junior High School. The College is the only Baptist affiliated Historically Black College west of the Mississippi and has a student population close to one thousand from all across the United States. Founded in 1884 as the Minister’s Institute, the College continues to be supported by the Consolidated Missionary Baptist State Convention.